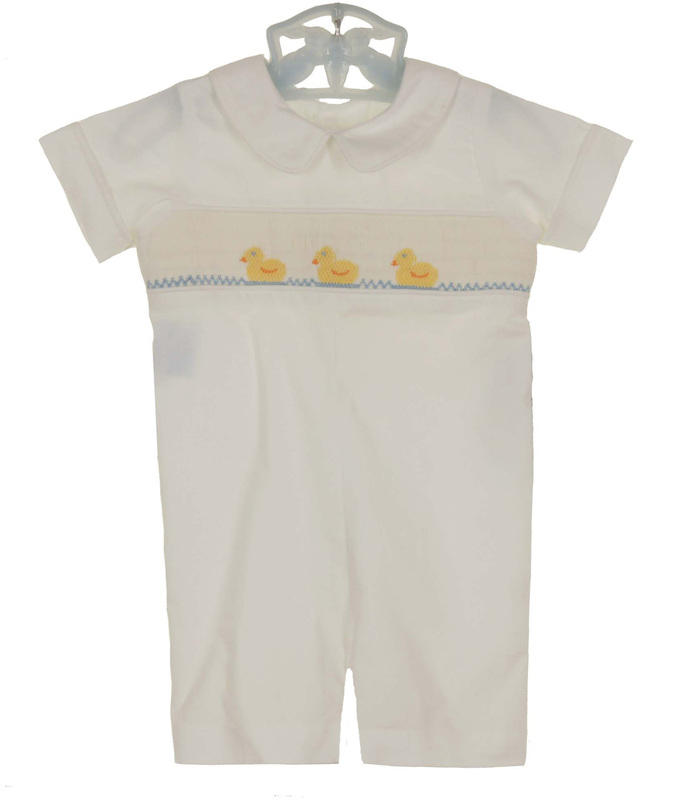 This precious white soft cotton smocked romper is made by Remember Nguyen (Remember When), a leading manufacturer of classic smocked children's clothing. 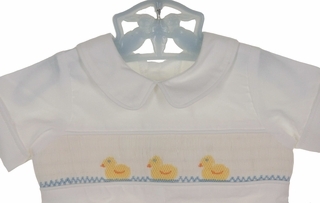 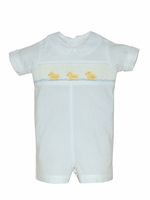 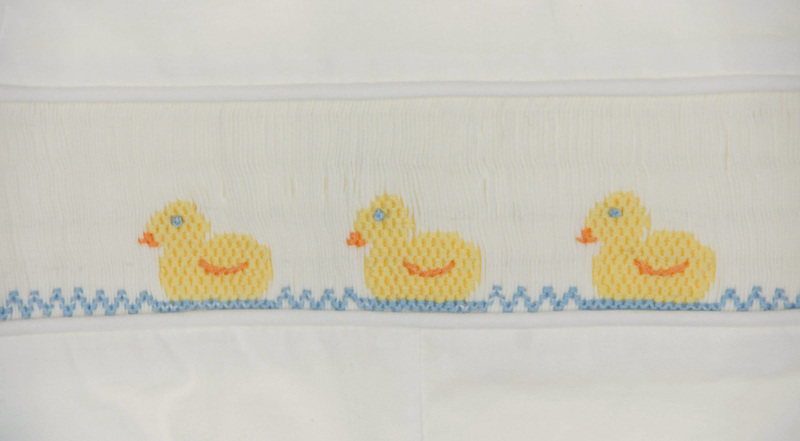 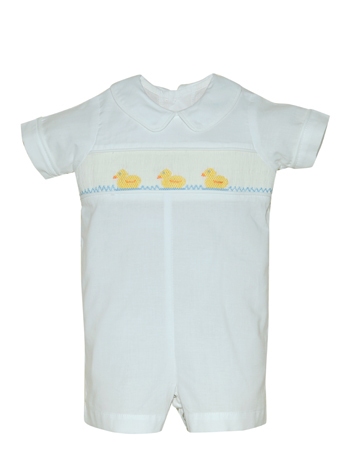 Perfect for Easter or for bringing your new baby boy home from the hospital, the romper has a band of white smocking on the chest embroidered with three little ducks. A white Peter Pan collar, short straight sleeves, a back buttoned closure and a snapped crotch complete the romper.